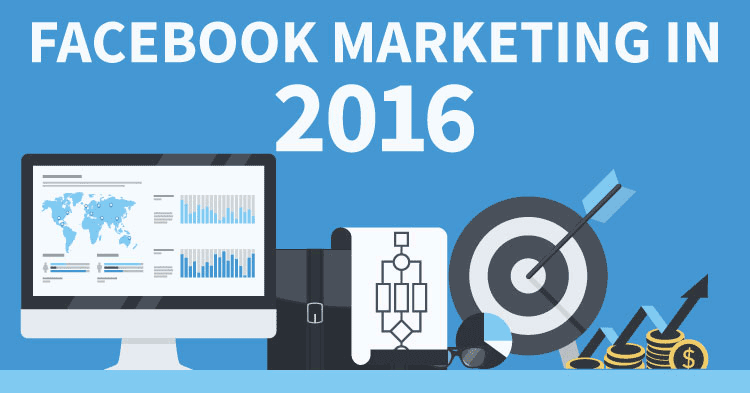 Wondering what’s up with Facebook marketing in 2016? One thing you can count on – Facebook is always changing! Learn what’s happening now, and what may happen in the future, in this guest post and infographic. Facebook is constantly growing with over 1.44 billion monthly active users – 1.25 billion of these are on mobile alone. This is equivalent to 20,000 users on Facebook every second. These statistics make Facebook the biggest social network operating today. It’s a valuable website for marketers, whether they are promoting a product or service, or conducting market research. In recent years, Facebook has been improving the experience it provides to its users so they can access a wide variety of content without leaving the site. For instance, Facebook has input a significant amount of time and resource into developing its cross platform mobile app to benefit 581 million Facebook members who access the network through smartphones and tablets. Video content is being accessed on the go as a constant source of entertainment, with 75% of Facebook video views occurring on mobile devices. This percentage is sure to increase following the introduction of live video streaming to rival Twitter’s Periscope. Facebook recently integrated algorithm technology similar to that used by Google. This helps personalize results by adding current news stories and popular posts to search results and users’ timelines. Businesses are now able to communicate directly with their customers privately through Facebook Messenger, allowing them to have personal, real time conversations. This shows that Facebook is trying to combat businesses using Twitter direct messages with their customers. Further advancements to the messaging facility include M, a virtual assistant through which users can book tickets, buy products, and get recommendations without ever leaving the service. One Facebook tool which is valuable to marketers is user data. The majority of data collected by Facebook has been inaccessible to marketers. Beyond business Facebook pages, brands have little idea of the conversations going on directly related to their brand or product offering. Making this data anonymized will allow Facebook to provide insights to advertisers, which will make life easier for marketers. In the coming years, Facebook will increase the amount of content stored on the platform through services such as Instant Articles and Canvas. Instant articles is Facebook’s attempt at keeping users on the site, accessing content such as news stories or blog posts. However, publishers will need to carefully consider the value of publishing their content externally to their website and whether this outweighs the loss of direct and advertising revenue. And of course, we now have those fun Facebook Reactions! Be sure to pin the infographic on Facebook marketing to refer to later! Zachary Jarvis is the Founder and Managing Director of Speechless Digital, a Digital & Content Marketing Agency based in Essex, UK. Find him on Twitter at SDigiUK. Facebook is such a powerhouse! It’s absolutely amazing what we can do with Facebook now. Content publishing on Facebook can be a concern however it could be just like LinkedIn where you can link back to your website at the end of an article. This will be interesting. Thanks for sharing! Lovely infographic as well. Actually, it’s not OK to take someone’s image and put your name on it. That’s copyright infringement. You could use the data and create your own image, while crediting the source. But not use their images and just change the text. Nor is it allowed to copy the blog post text and translate into another language. I removed your live links because I don’t link to sites that infringe copyright. Facebook seems to have made changes this month (June 2016) that impacts only the business pages, as it is not the same as my personal page. The logo (profile) image is small, the header image is bigger and clicking on the camera icon to change the photo is not working for me. Are there browser changes? I am using Firefox and Chrome. There are changes rolling out. Not sure what affects it, but many people don’t see it at all yet. Some see it on desktop but not phone. Mine is vice versa. Whenever setup and executed with care and skill, Facebook ads hold the ability to drive lots of quality traffic to your webpages and be greatly profitable for your company. 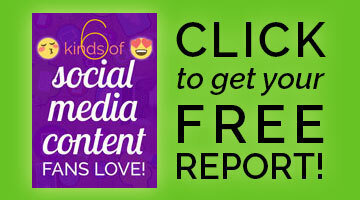 Getting the outcomes you need from your Facebook ads takes flair and refinement, however. Efficacious promotions should be very focused on. They need to be monitored closely and split-tested. And their timing does matter.